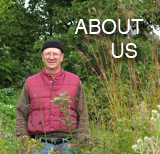 chicagobotanicgarden | October 8, 2010 | Richard Hawke, plant evaluation manager, shows us how the Josephine P. & John J. Louis Foundation Green Roof Garden North is growing one year after the opening of the Daniel F. and Ada L. Rice Plant Conservation Center. wilsonjd9 | September 12, 2010 | Get all the details at http://www.TheSolarVillage.com. 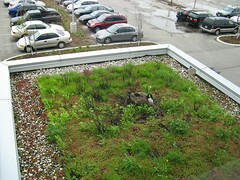 The green roof system reduces heating inside the home or building by up to 30-40% making it a natural air conditioner. Green roofs are found in 20% of the homes in Germany. The award-winning Wilson Natural Home above uses a green roof to both cool in the summer but also to improve insulation levels for improved warmth in the winter. The six inches of soil and several layers of membranes significantly increase the insulation levels in the roof which is a major contributer to heat loss.